Not everyone to expect hard exams when you don’t study hard or simply can’t keep up with your course assignments. Learning how to manage your classes and schedule is essential for having success in school. 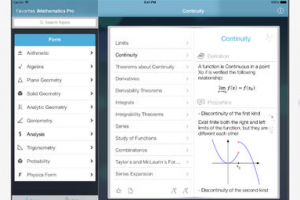 Study Cal for iPad is one of many apps you can use to track your grades and organize your assignments. 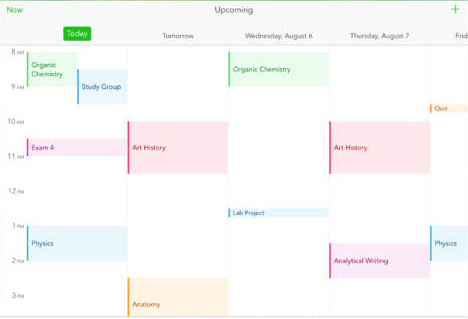 The app lets you add semesters, classes, assignments, notes, and set up reminders to stay on track. Study Cal is designed to help students better manage their classes and assignments. 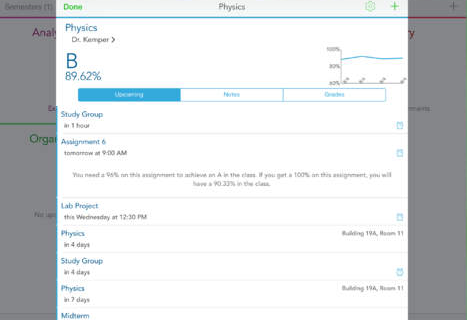 For each class, you can add notes, grades, instructors, and other information. The app supports multiple reminders. 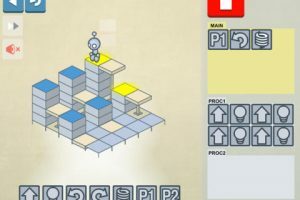 The app supports point and percent based grading systems. You can also attach multiple photos to your notes. Use the app to track completed assignments, search by name, class, and other criteria, and sync your information to iCloud. 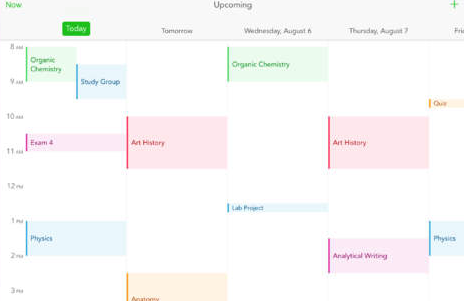 Study Cal is a universal app that helps students to stay on track. You can view grade graphs to see how well you are doing. This cool app is available for $0.99 at this time.